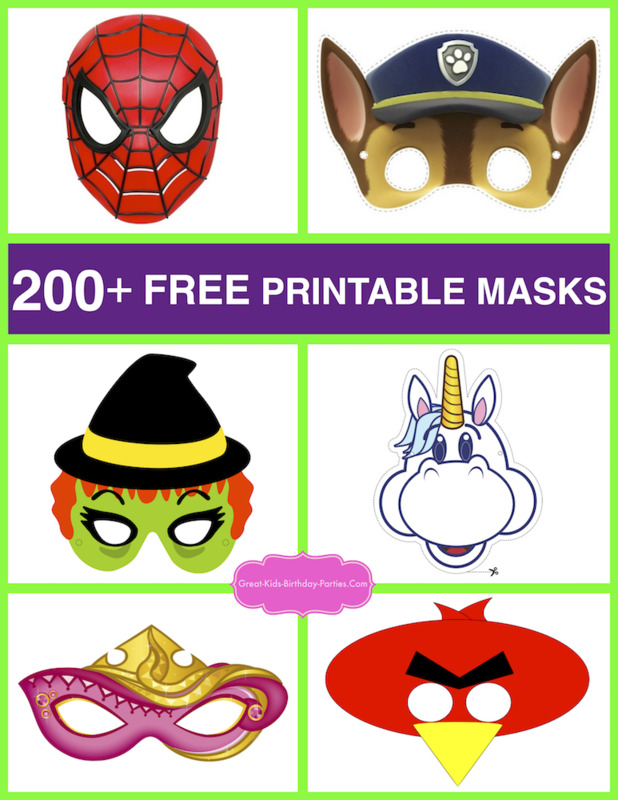 TinkerBell Invitations-Looking for Unique TinkerBell Invitations? 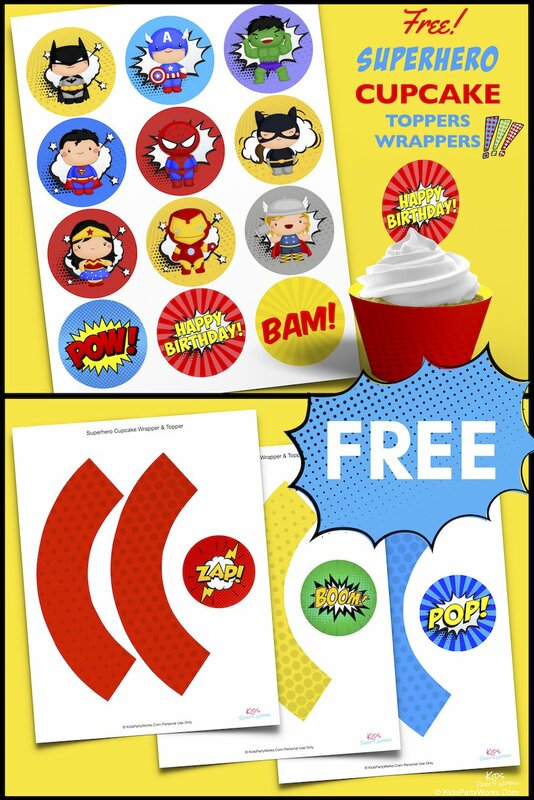 WOW your guests with FREE personalized and printable invitations. Kids love to get cool invitations! And cool doesn't mean expensive, it means fun and creative (and to us it means free). 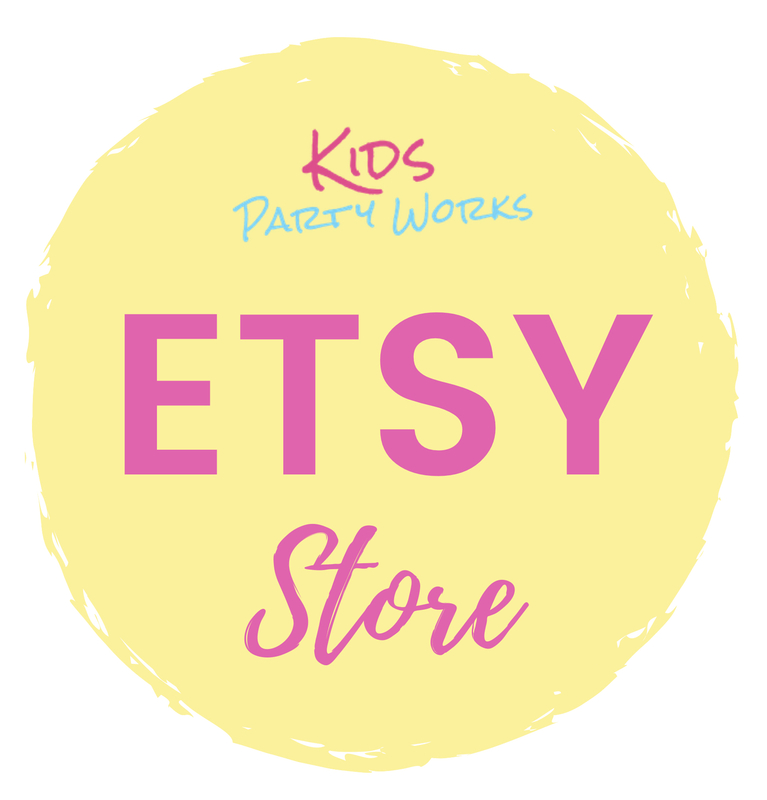 There are so many possibilities with TinkerBell invitations and the best part is you can create them for free. 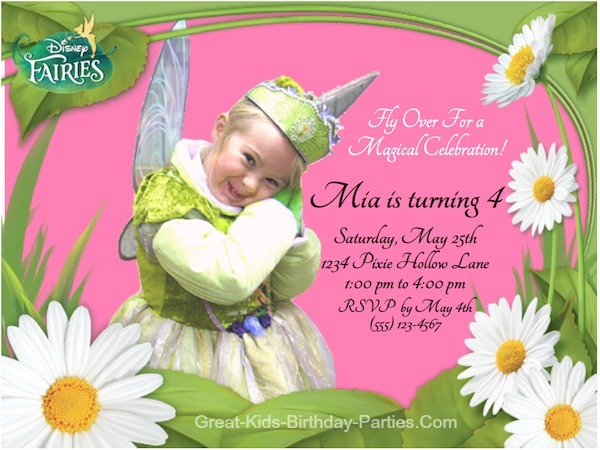 This TinkerBell invitation above took just a few minutes to make....Really! 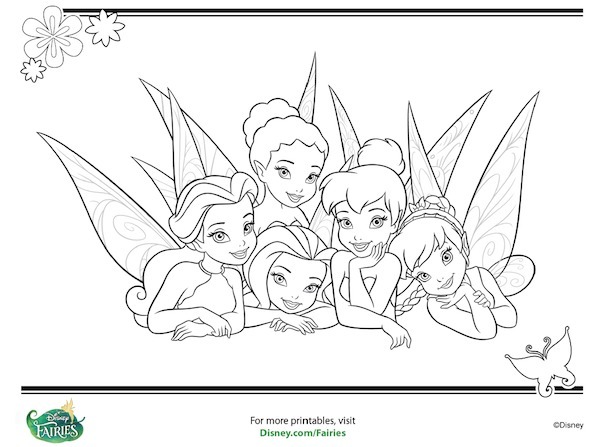 Before you begin, let me let you know that the image of the Disney Fairies frame is not available at this time, instead you will see the same frame as in the picture above. Have the photo you want to use ready on your computer for easy access. Then click on "Frame My Photo". This will take you to the screen below. 3. 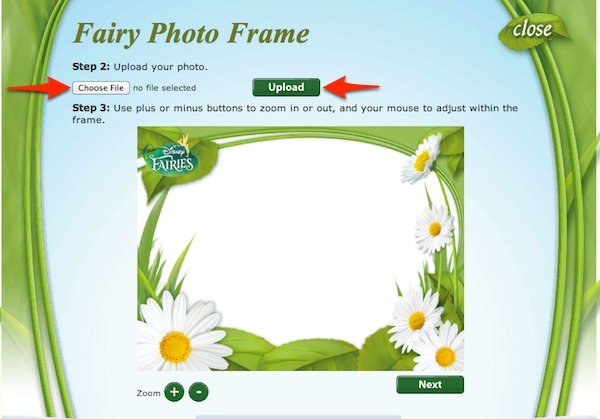 Click on "Choose File" and find your photo, then click "Upload". 4. Your picture will appear in the frame. Then use the "Zoom" + and - to resize. Then click on image with the left side of mouse and hold it down. 4 mini arrows in the form of a diamond will appear. While holding down the left side of the mouse, drag your photo to position it where you want it. 5. Click "Next" and then click "Download". Your framed photo will appear on your computer. For Mac users, framed photo will open in a new tab. Drag photo frame image to your desktop and now you are ready to add your text (birthday information). For iMac users, drag image into "Pages", for PC users, drag image to "Word" any your preferred place for adding text. 6. 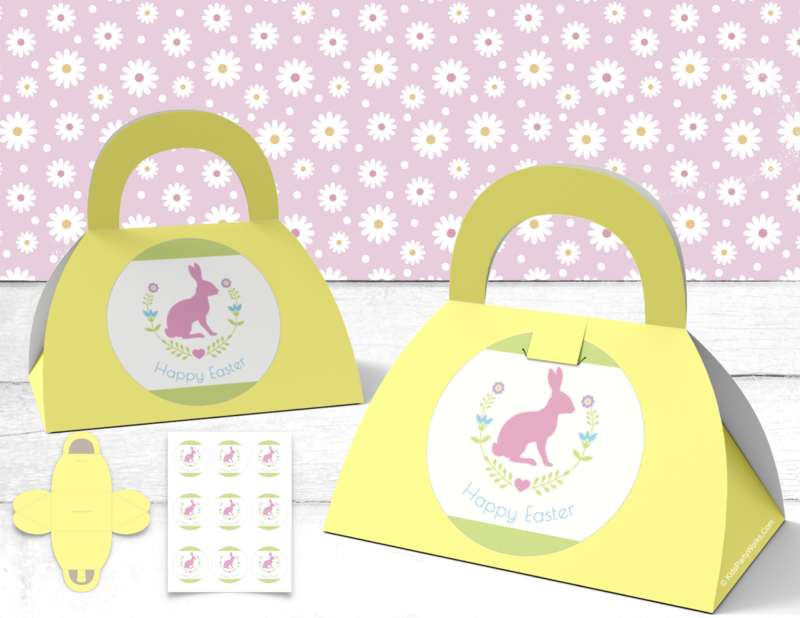 Optional - Adding a background (pink background in sample above). Drag a rectangle shape onto "Pages" and then choose a color or an image fill (for Mac users). For PC users, use a software that allows you to layer images. Add 1 or 2 small sparkly gems (or rhinestones or glitter) to the yellow centers of the white flowers. Depending on your image if the birthday child is wearing a TinkerBell tutu, I would add a small piece of gathered tulle (in TinkerBell green) to the tutu. Oh how precious! 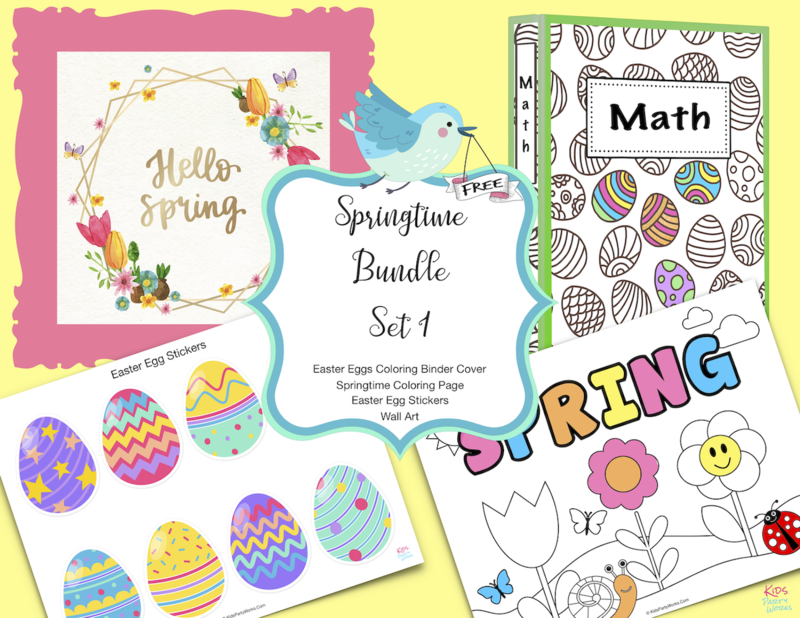 Add a silk white daisy on top of the pictured one. Add a cutout of TinkerBell sitting on a flower of flittering above. Now remember how we mentioned cool invitation? 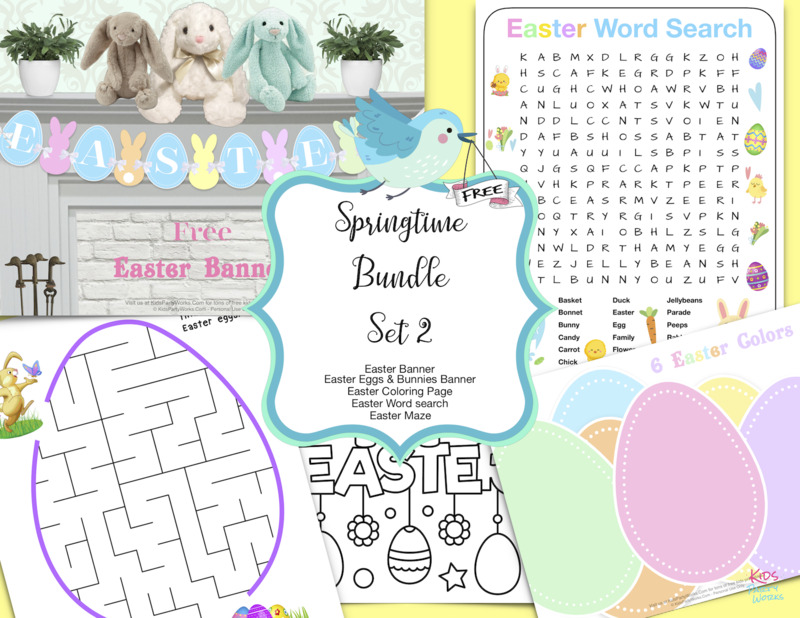 To make this a fun invitation, add a little something extra to the back of the invite like a mini maze, mini coloring page, activity ideas, a fun recipe, word search, tic-tac-toe. 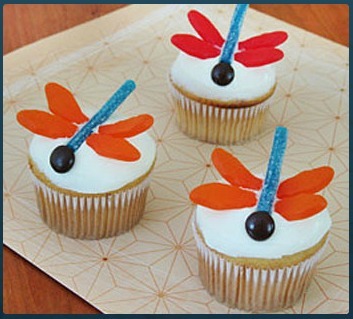 You might consider keeping with the same theme of the TinkerBell party you are having. 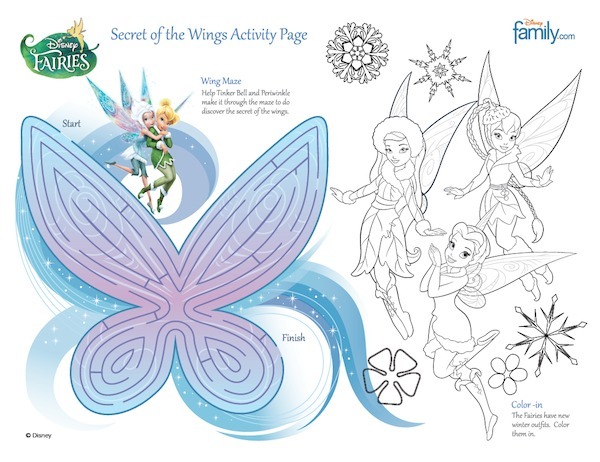 For example, if you're doing a TinkerBell and The Lost Treasure party, you might not want to use printables from Secret of the Wings. 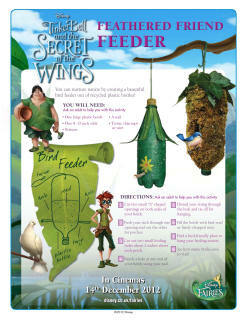 To make your own free Photo Frame TinkerBell Invitations visit HERE. Evite invitations are invitations you create online and send via email. 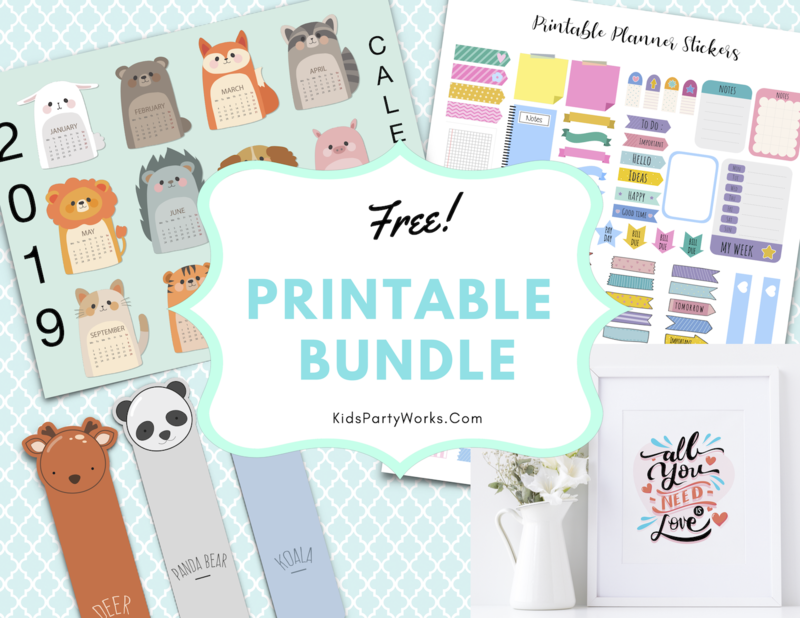 These invitations are fast and easy to make and are also FREE! Evite comes in handy especially when your guests are little ones. 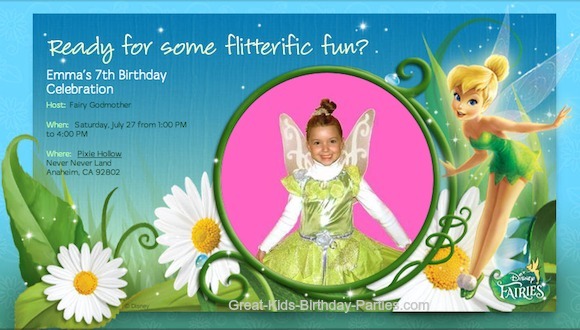 Sending Tinkerbell invitations via email keeps them all in one place and easy to track. Your guests can answer you "Yes", 'No", or "Maybe". This makes it very convenient to track the number of guests that will be attending. 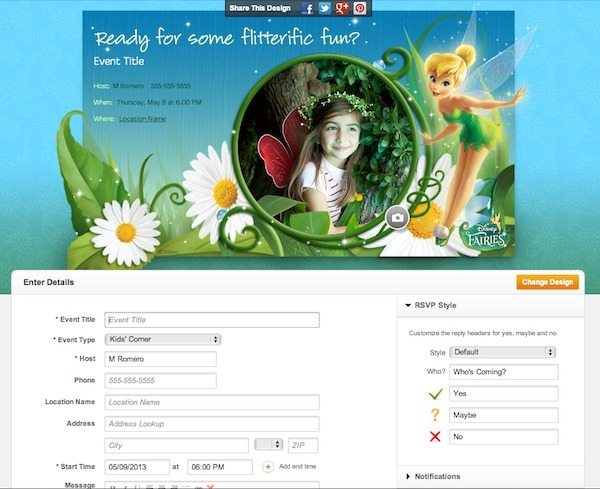 Above is a screen shot of the TinkerBell Evite invitation page. Before you begin, have the photo you want to use ready on your computer for easy access and the email addresses of your guests. Click on the camera icon located on the bottom right hand corner of the circular picture frame. Click "Browse" to find your picture on your computer and select it. A transparent cropping square will appear over you photo. Move it around and resize if necessary, then click "Done". Evite will put your photo in the frame. Unlike the photo frame invitation at the top of this page, you can no longer move the photo around. So if you don't like how it looks just go back and crop and resize as needed and then create the invitation again. Fill out the form below the invitation and at this point you have the option of previewing your invitation. If you like the way it looks, click "continue". The final step is to enter the email addresses for your guests and send.